EPISODE #76 – Are Your Kids An Excuse To Skip Your Morning Practice? I’ve been practicing my Magic Morning Practice for the last decade. I KNOW that this practice has been a KEY element in bringing us closer and helping me to clear RESENTMENT, which is the biggest block to intimacy. This morning practice helps me to show up as the best version of ME to my clients, because that’s what they deserve. In this episode, I share 7 Steps to Getting Jiggy With Your Morning Practice…kids and all! I also share some Self-Care Best Practices from my audience and Self-Care Membership Circle. CLICK HEREor on the image above to listen now. And make sure to subscribe so you don’t miss an episode. 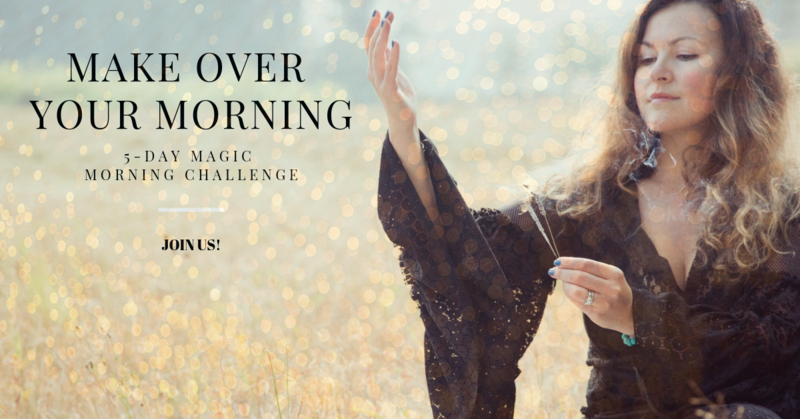 Ready to CREATE YOUR MORNING PRACTICE? to JOIN US & get the ANTIDOTE to OVERWHELM! CLICK HERE or on the image below to join us.